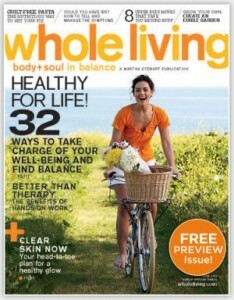 Click here to visit the Rewards Gold site and fill out the form/take a quick survey to request a free subscription to Whole Living Magazine. Hurry because these always go quick. Just did everything and it said it was not available any longer. I sent for this for my grand daughter she loves this magazine and has been looking for it!!! Can not wait to get my Whole Living Mag. I have never seen it.